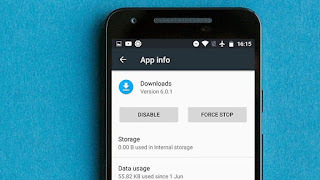 There are quite a few factors that could possibly affect the Play Store, we’ll run through the troubleshooting methods beginning, Fix Google Play Store Not Working Issue with simple solutions down to the more complicated. 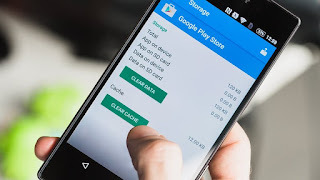 The steps above should confirm whether the issue lies with the Google Play system itself, but sometimes the problem can originate from a different, related app, that can be interfering with the Play Store. 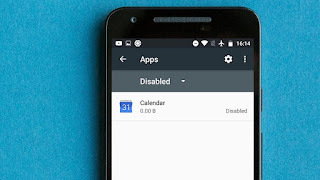 First, check your disabled apps, and make sure that you enable Download Manager. Many apps need other apps in order to function properly. This is especially true when you’re dealing with system apps such as the Google Play Store. If you recently disabled an app that could be your problem. Luckily, this is easy to fix. Go into your Settings and Application manager or Apps and scroll to the bottom. This is where disabled apps end up. If you see any disabled services, just go into these and hit Enable and see if that helps. Go into your Settings and tap either Apps or Application manager (depending on your device). You should either see all of your apps or you might have to choose All. From there find Downloads or Download manager and hit this. You should also disable your VPN if you have one. If you have a VPN enabled on your Android device you should disable it. Go into your Settings and tap More or More networks depending on your device. Hit VPN and toggle it off. 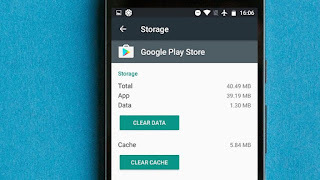 In some cases, you can get the Play Store going again by just emptying the cache. The cache is a storage area that temporarily holds data so it can be quickly retrieved without needing to be reloaded. This could solve your problem and emptying it is easy. First go in the Settings from your smartphone’s home screen. You should then go into your Apps or Application manager, it depends on your device. From there you should either be able to scroll down and hit Clear cache or you might have to first go into Storage then Clear cache. Deleting your data from the Play Store is similar to our first tip but erases quite a bit more. It sets the app back to square one and gets rid of your saved information, hopefully including whatever glitchy data was causing the problem. Remember, when you do this your files, settings, accounts, databases and other information will be erased. You should make sure you have the log-in information for the account as it will be taken off the Google Play Store account. It is possible that Play Store problems could stem from issues with Google Play Services. If Google Play Store is the heart of your Android device, then Google Play Services is its soul. Play Services is the mysterious background process that allows apps to communicate with different parts of your device, enabling them to sync, send push notifications and so on. 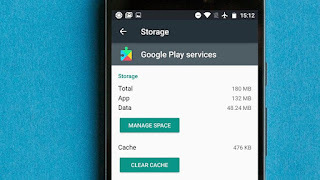 If clearing the cache and data in your Google Play Store didn’t work then you may need to go into your Google Play Services and clear the data and cache there. Doing this is easy. You need to go into your Settings and hit Application manager or Apps. From there, find the Google Play Services app (the puzzle piece). Depending on your device, you should be able to tap the Clear cache button or you might need to go into Storage first then hit Clear cache. If that fails to solve the problem, come back to this page and hit Manage space or Manage storage then tap Clear all data. Another thing that may help is to download and install the latest version of Google Play Services and the Google Play Store. The most current version of the software is likely to be the most stable, so it’s useful to keep it updated. Firstly, you need to make sure your Google Play Store is up-to-date. Go into the Google Play Store app and hit the menu button (three lines in the top left hand corner of your screen). From there tap Settings and under General you should be able to see when your Google Play app updates. 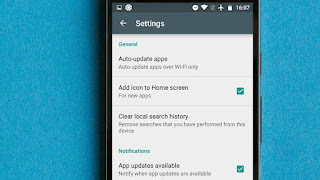 Tap Auto-update apps and ensure that Auto-update apps over Wi-Fi is checked. Now, make sure you’re connected to Wi-Fi.